Features blade-assist technology designed by world-class custom knife maker and inventor, Ron Lake. A three-position pocket clip allows you to customize it to suit your carry style. Max-Lock technology locks the blade into place for safer knife operation and reduces wear and tear on internal components. 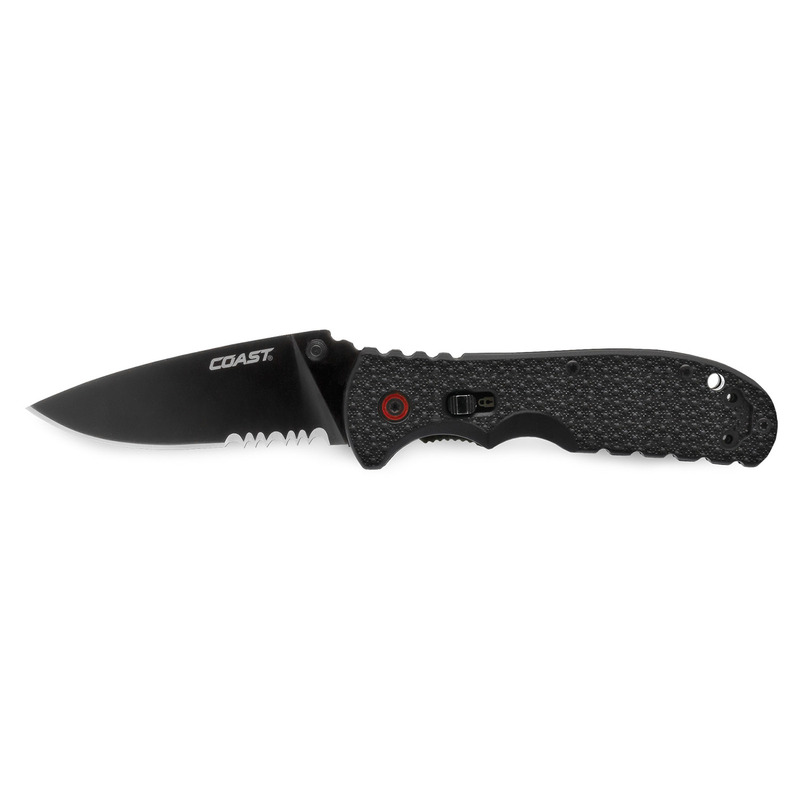 Patented Max-Lock technology secures the blade closed when not in use and double locks the Liner-Lock when open, even if the Liner Lock is inadvertently dis-engaged. Backed by Coast's lifetime warranty against defects in materials and workmanship.